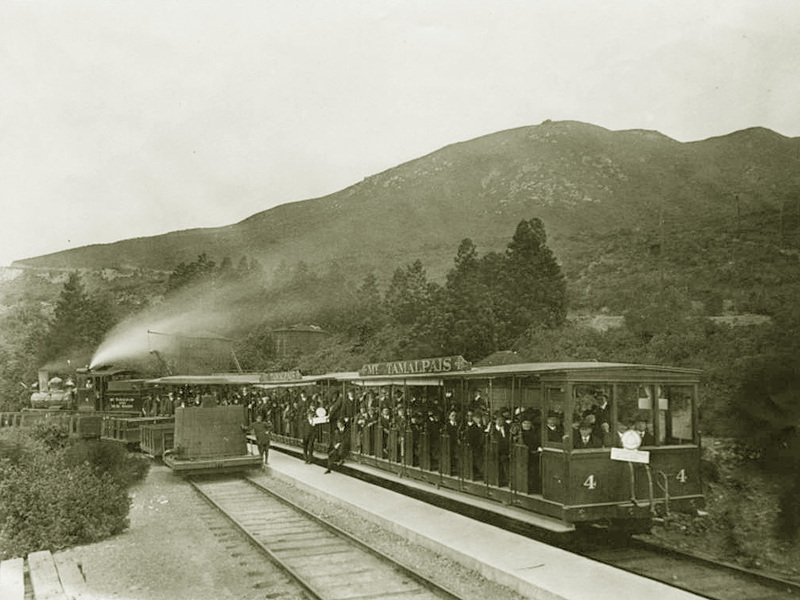 The first picture is interesting as it is taken down in Mill Valley, not in Muir Woods, as you can see by the dual-gauge track. Gravities didn’t run down here regularly with passengers, so it could be this is just a “promo shot” or a special ride. Note that normal steam trains didn’t just run the “green” part of the map, but also the yellow parts. 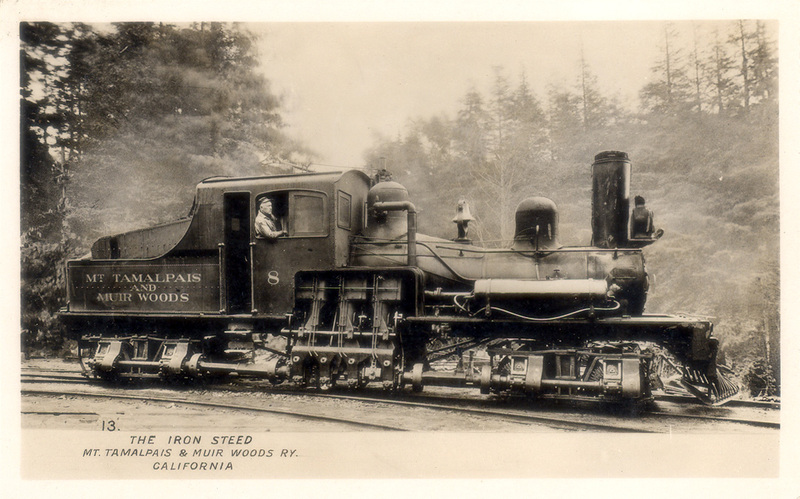 Whats about the railroad today? Due to the satellite-photo it must be a fine bike-trail (with a quite smooth gradient – Or is it steeper than 6%)? 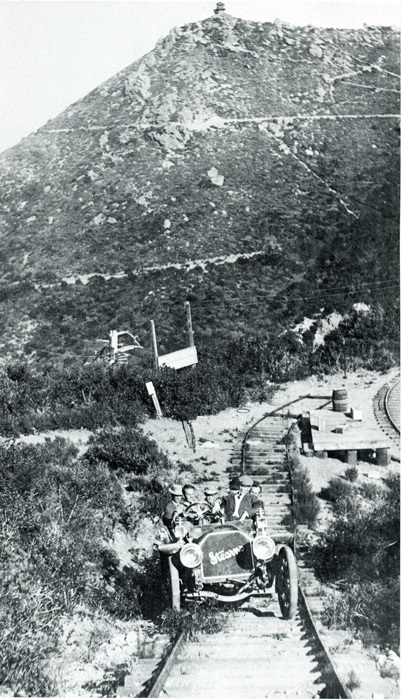 Martin> All the rails and tracks were completely and definitively removed in 1930 and converted in car trails! Today I guess there is no problem to use the old tracks as bike-trail. It’s the trail marked “Old Railroad Grade Fire Rd”. 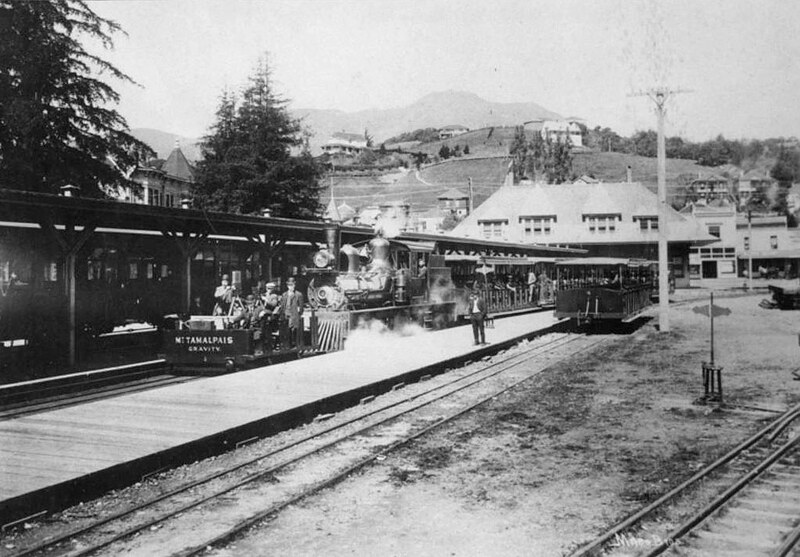 It passes by the West Point Inn, where there is also a sign that has some information about the railroad. Marcel> Thank you for the PDF file! This is great being able to see all of the old pictures and videos! I really enjoyed checking out everything. First off these are great photos! 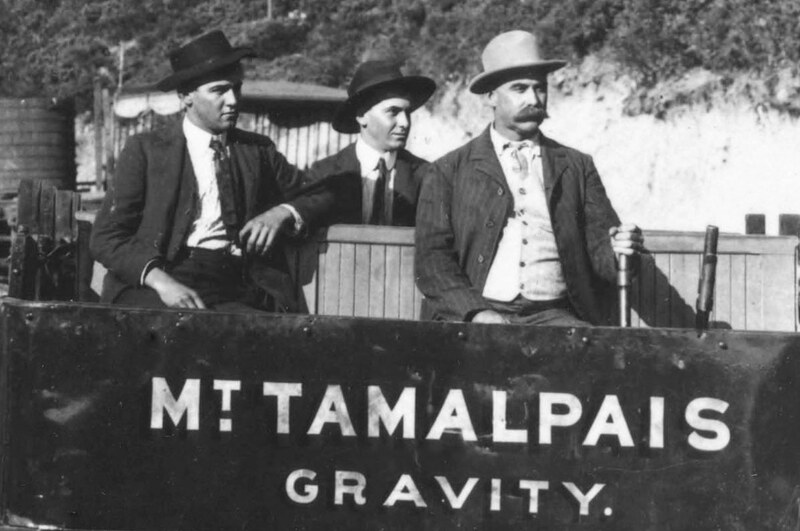 Secondly I work for MArin Municipal Water District which manages most of Mt Tamalpais, and have been doing a lot of research lately into the history of Mt Tamalpais. 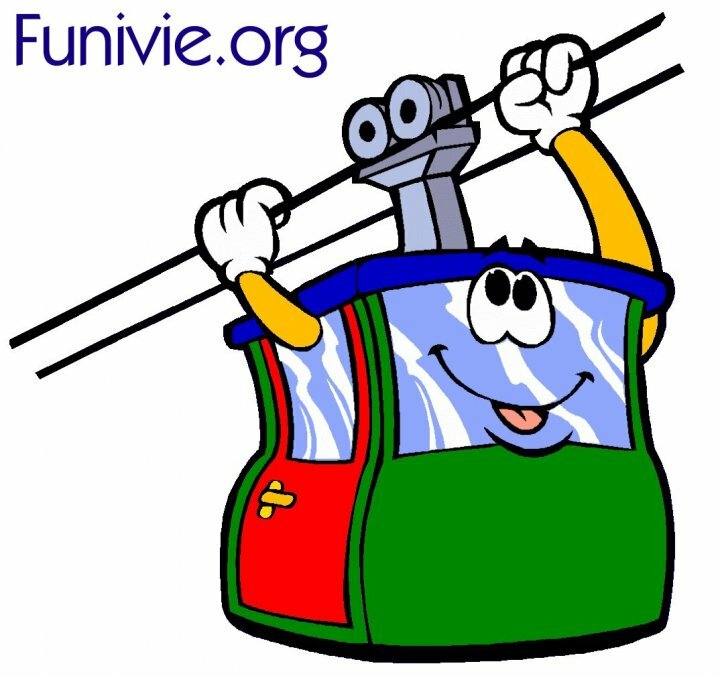 I have a minor correction on the Funicular Railway. 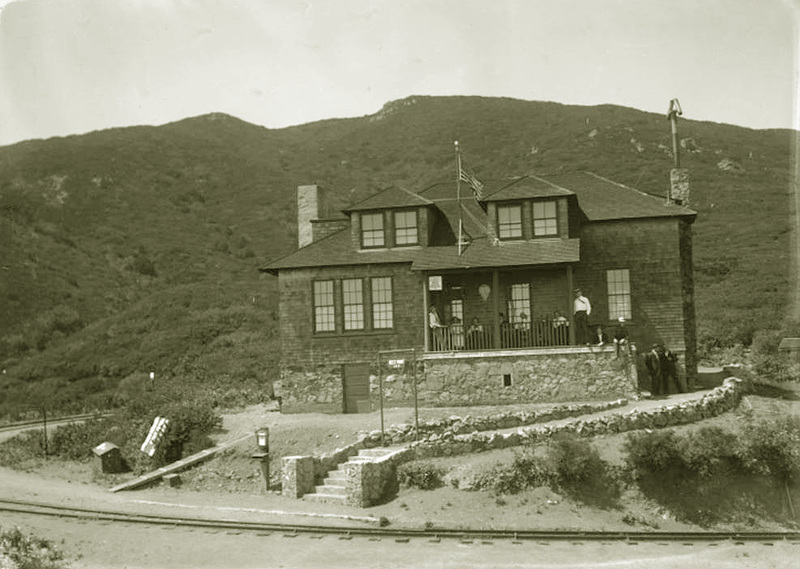 It was built around 1905 on the Middle Peak (not the West Peak), It was meant to service two 300ft tall wooden radio transmission towers. In 1906 though the Radio towers blew over in a storm. 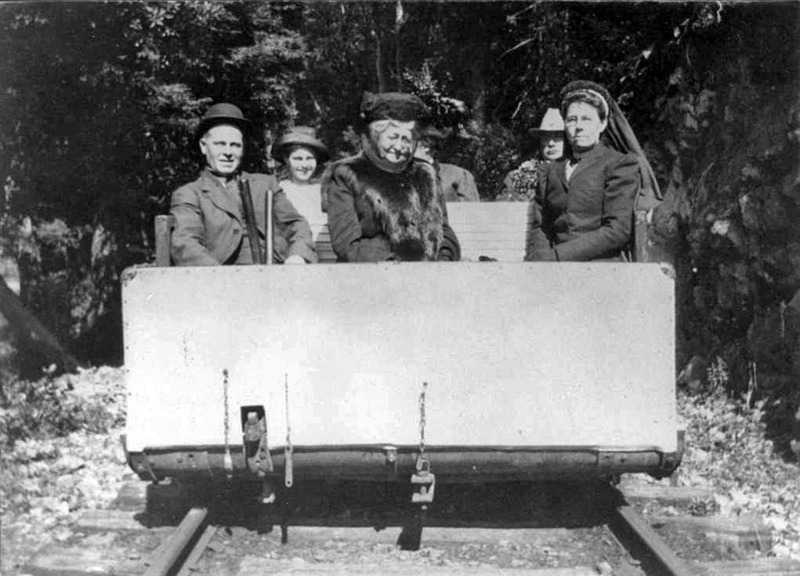 Not sure when the Funicular was retired from service though. 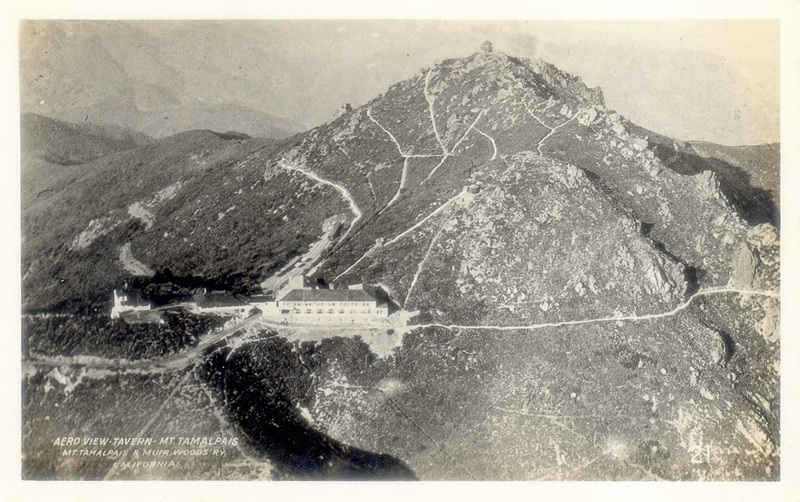 The West Peak was undeveloped until 1950 when the Air Force took off the top 50ft of the West Peak. The West Peak was actually the tallest part of the Mountain before that. 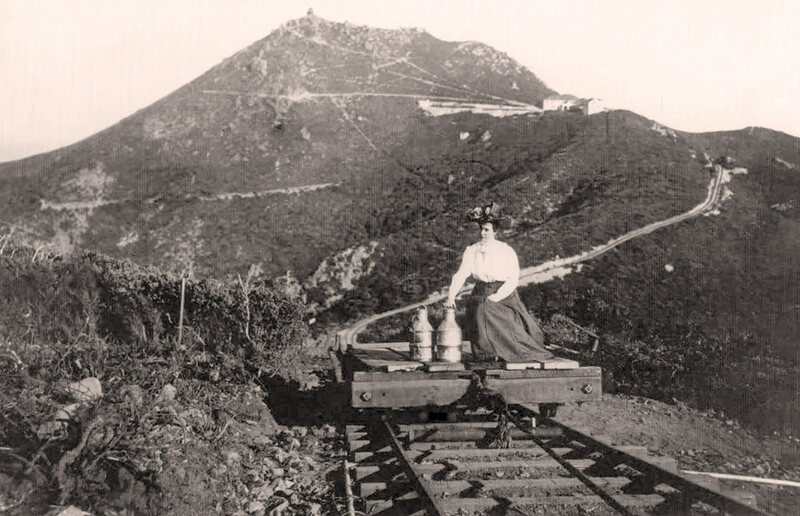 There was a shrine on the West Peak built by the TCC around 1918 to honor all those who died in World War I, which is now lost. My interest is in Mt. 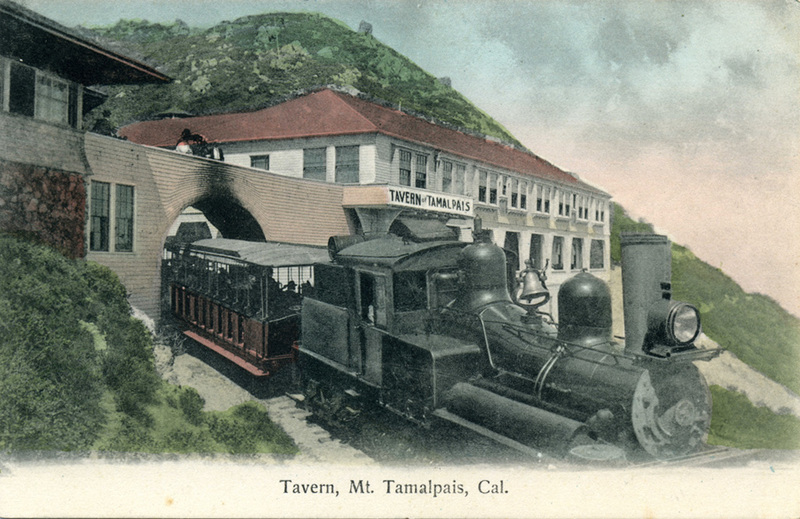 Tamalpais Tavern. 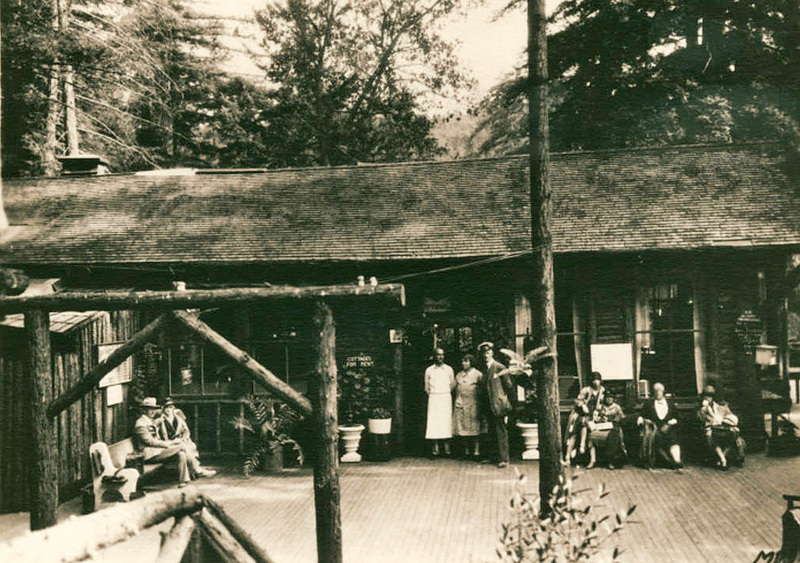 Is there any pictures of the interior of the Tavern as my grandfather worked on it. I think he probably built the stair case as he traveled the West Coast during spiral staircases. 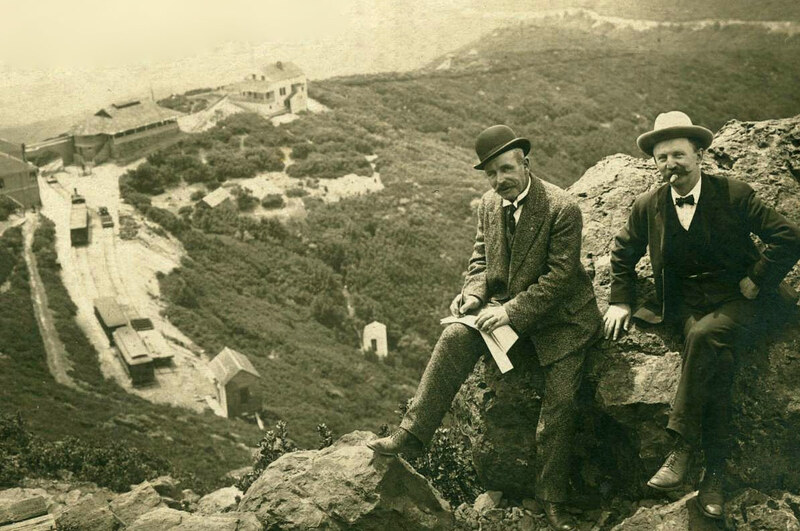 He was well know in Pasadena as a builder of the Greene and Greene works, mainly the Gamble house. Hi thanks for your comments! Just wanted to say I’m fortunate enough to live nearby and will say that the West Point Inn survived the dismantling of the railroad and still has guests stay overnight. The rooms are sparten but clean. I think it’s around $50 a night but you can find out for sure by visiting their website http://www.westpointInn.com ( I think – check with google). Also – the entire grade is now a fire road that is open to mountain bikers and hikers and there are a few bits and pieces of the old railroad lying around ( an old bridge in blithedale canyon amongst others). You can also (if you’re very observant) still find pieces of the old railroad ( things like broken spikes, bolts, etc) still emerge from the dirt after a good rain. 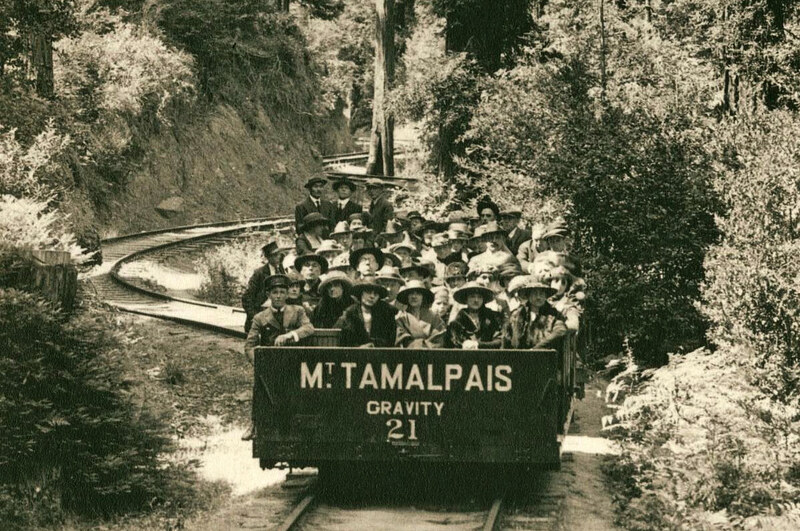 Thank you for including images from the Anne T. Kent California Room Collection, Marin County Free Library. 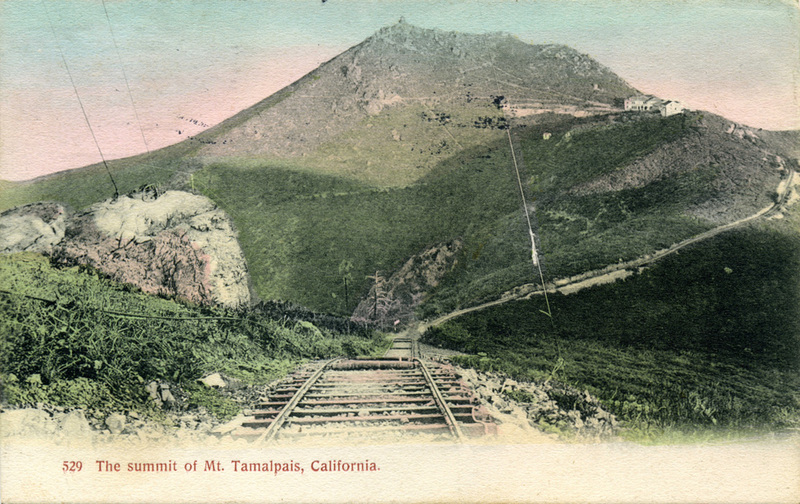 This photograph and additional images and information about the Mt. 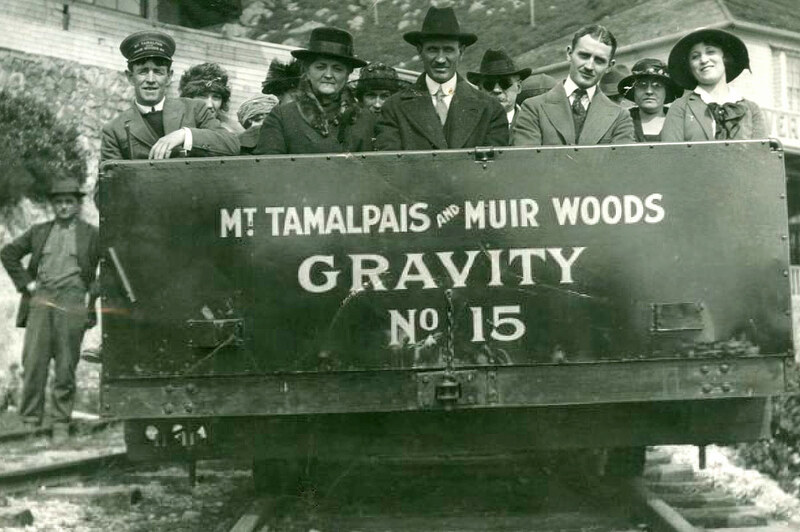 Tamalpais & Muir Woods Railway, can be found on the California Room’s Digital Archive: http://contentdm.marinlibrary.org/cdm/landingpage/collection/mtmwrr. Please note that we do require attribution when using items from our collection. 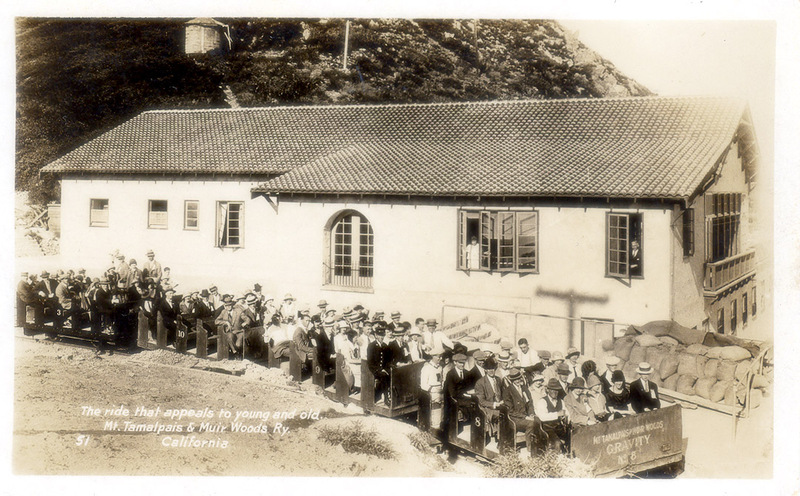 Select images above are from the Anne T. Kent California Room, Marin County Free Library. 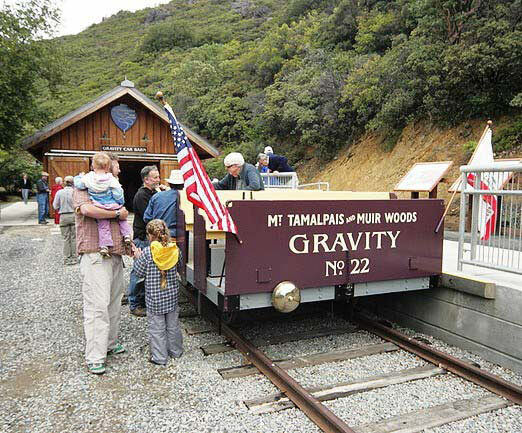 The “Mill Valley Station” photo actually shows a film crew, not just passengers, in gravity car no. 4. They are the Miles Brothers. This is when they had just finished shooting “A Trip Down Mt. 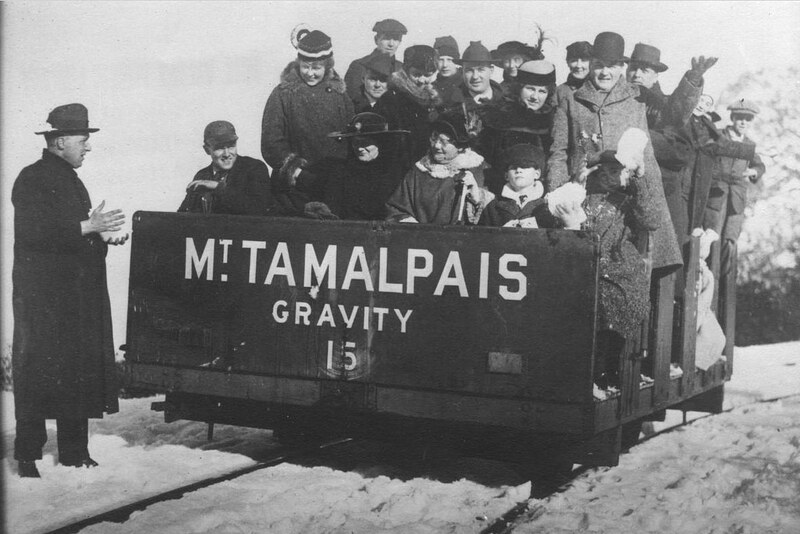 Tamalpais”, in March 1906. Their next film “A Trip Down Market Street”, was shot a few days before the earthquake and fire leveled downtown San Francisco. 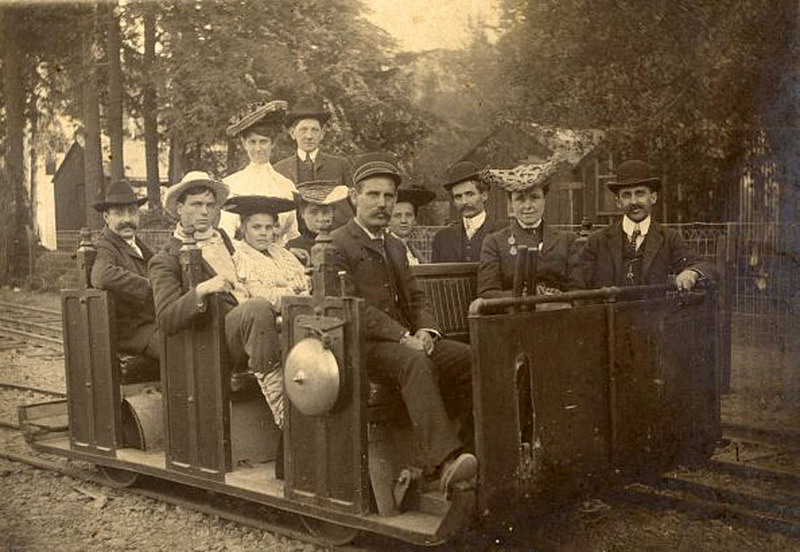 The negative was on a train to New York when the earthquake struck. Historian David Kiehn’s painstaking research uncovered that story a few years ago. Morley Safer did the story for “60 Minutes”. 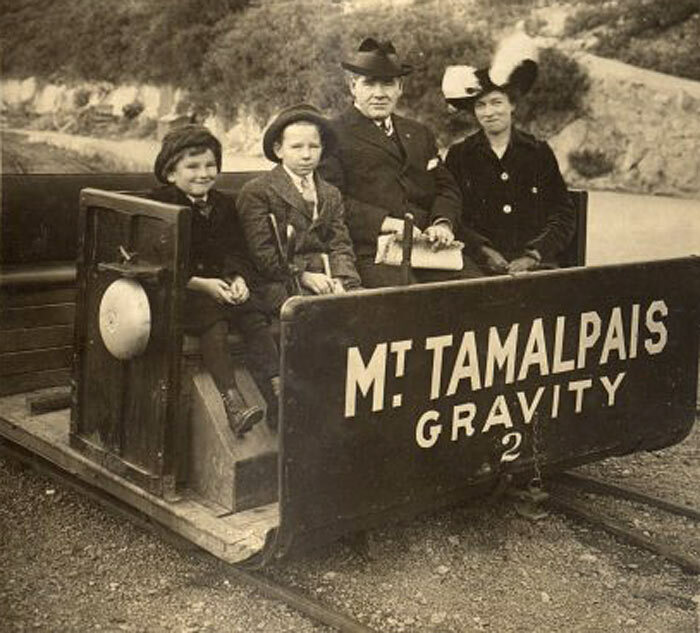 http://www.youtube.com/watch?v=tYHGj19RrF0 — “Tamalpais” is briefly seen in a newspaper clipping in this piece. 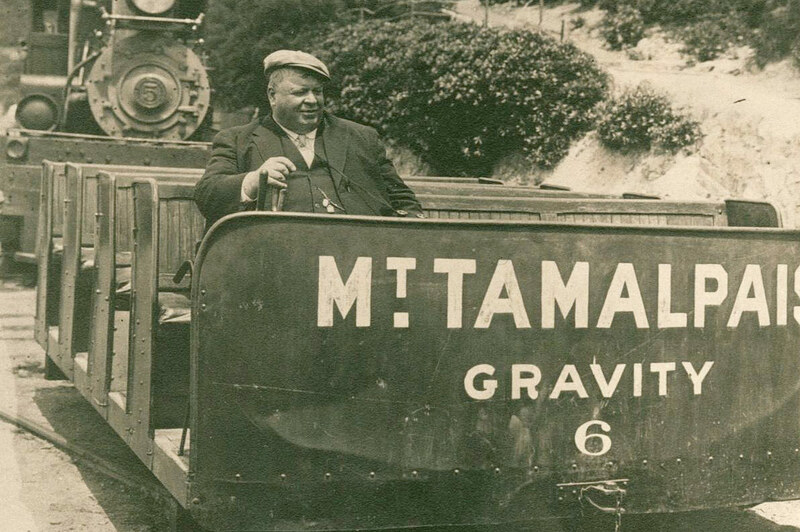 Thank you for your remark concerning the Miles Brothers team on the gravity car 4 and I will update the text concerning this photo. Concerning J. Gary Hal, no problem I will send him a message with your email. 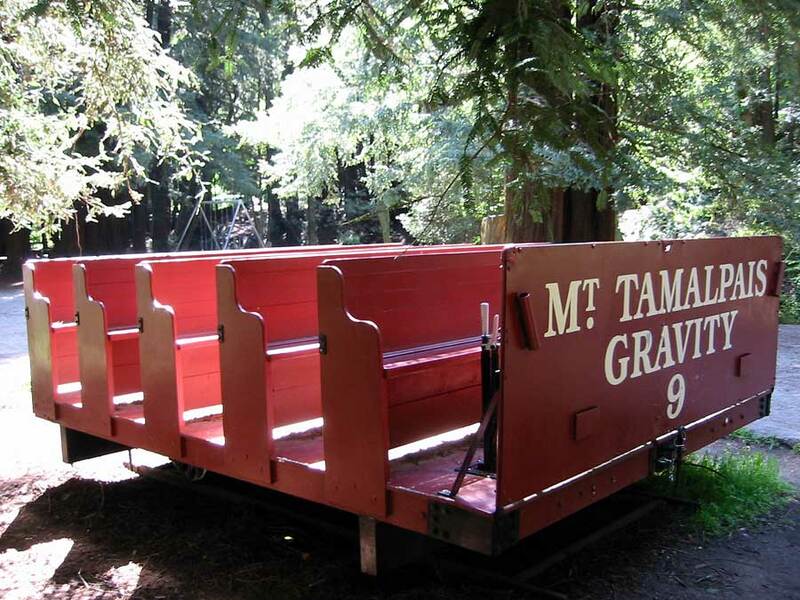 Hi there, I am working on a pro-bono advertising project for Mount Tamalpais and would love to use some of these photos for a Gravity Car “point of interest”. Is there someone I can reach out to for permission to use them? We will happily attribute to Anne T. Kent California Room, Marin County Free Library.